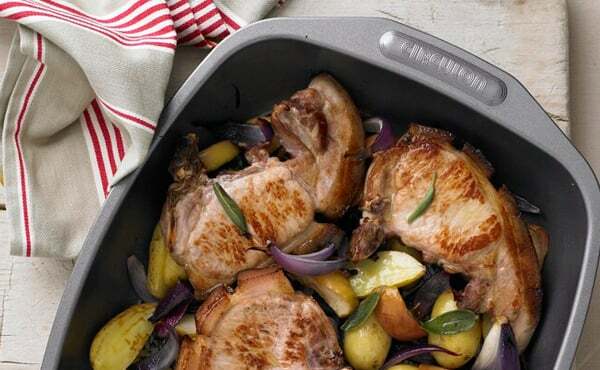 Cook perfect roasts and crispy potatoes every time with roasting racks and trays from Cookware Brands. We stock the best products from trusted brands, including RACO, Circulon and Anolon, providing you with quality options perfect for roasting. Our thickly gauged bakeware roasting trays are constructed out of durable rolled steel and carbon steel, and are oven safe to 260 degrees, enabling you to cook delicious roasts for years to come.